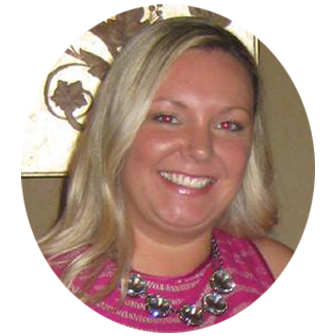 Their teas are served at luxury hotels like the Ritz Carlton and sold at gourmet shops such as William Sonoma. 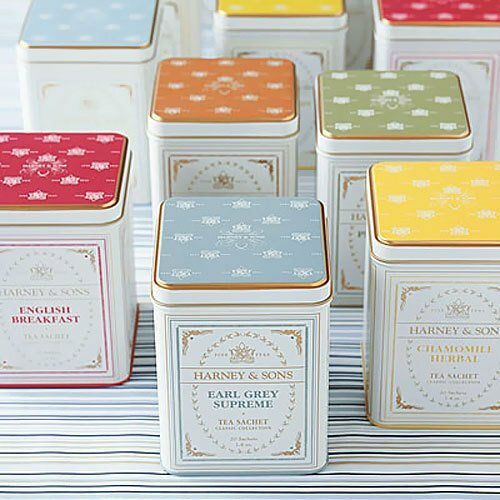 Their collection of tea tins is the perfect gift for tea lovers, often given as party favors at wedding receptions and bridal tea parties. Each beautiful tea tin contains 20 tea sachets and is a beautiful gift that needs no additional packaging. 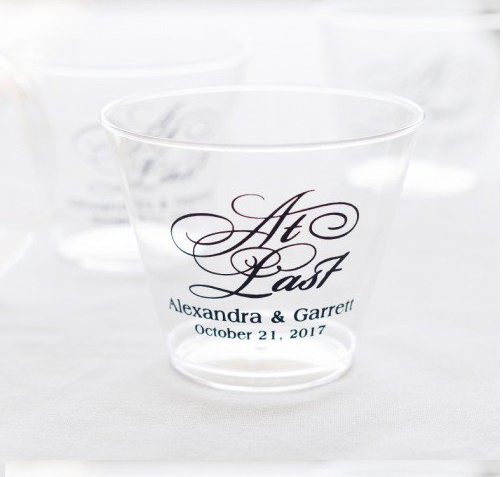 Whatever the size, your glass is always ‘half-full’ with these personalized clear plastic cups. 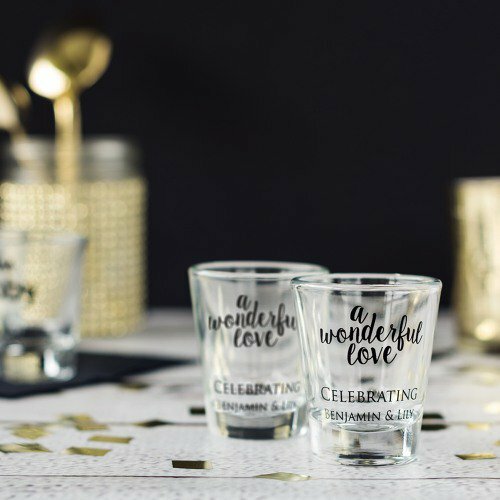 What makes these party supplies so fab? Durability and details! Available in a variety of styles and colors. 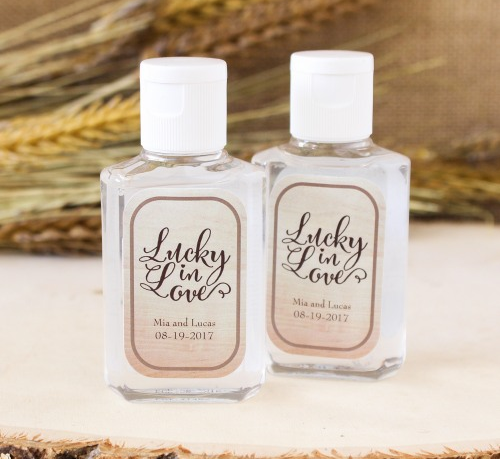 Spread the love at your wedding with personalized wildflower seed bomb favors. 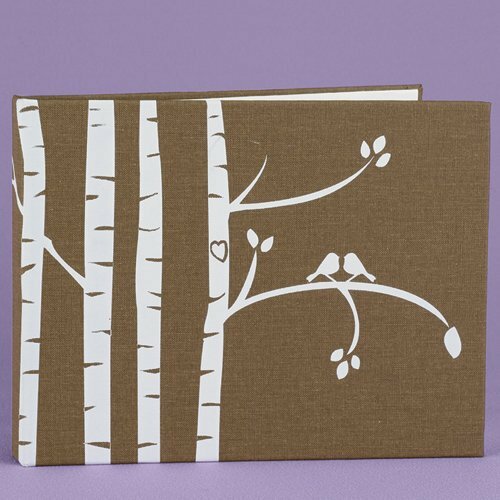 Inside of this pretty muslin bag, you’ll find a personalized card with your special message, and three wildflower seed bombs. 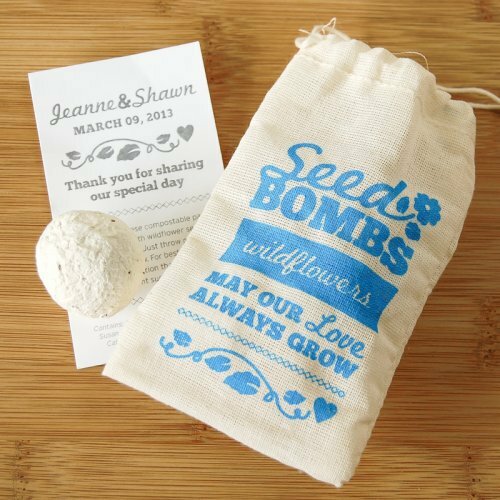 Seed bombs are made with compostable paper and packed with wildflower seeds. Just toss onto soil and give them plenty of sun and rain/water for a beautiful end result! 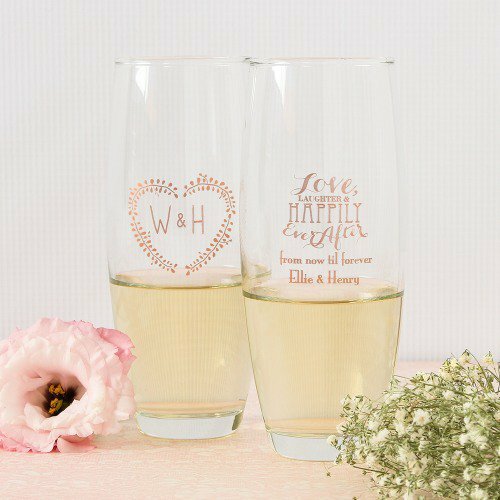 Toast to your new wedded status from personalized champagne flute favors. 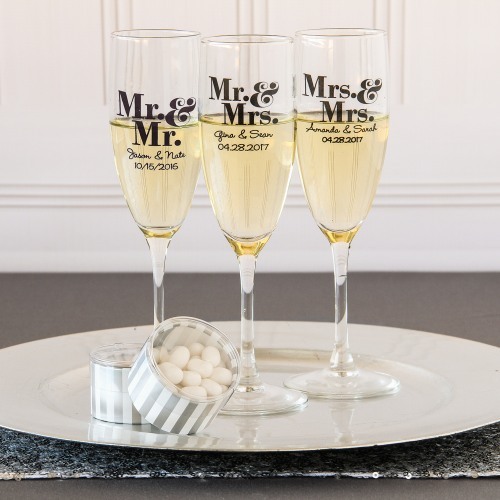 These classic champagne flutes will never go out of style, making them a household staple for you and your guests for years to come. 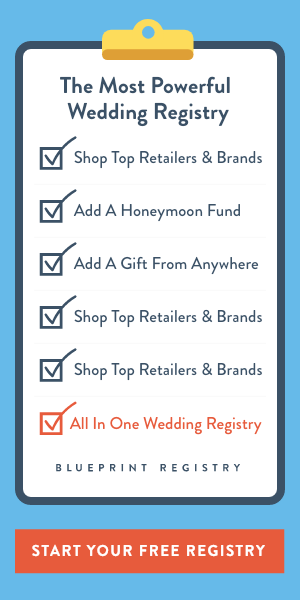 Each flute is personalized with your custom message and design, making it a unique favor to either bring home or to use at the event. 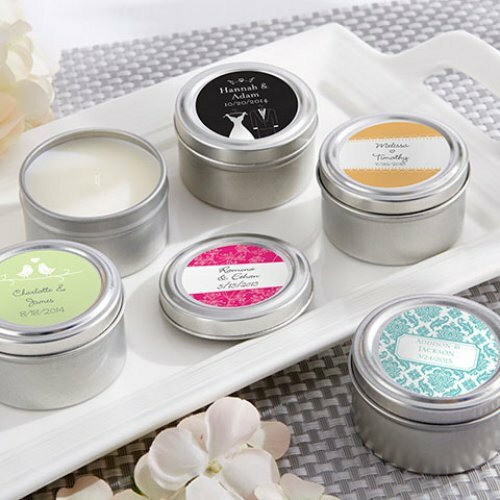 For your special day, add a little vintage flair with help from these printed vintage milk favor jars. 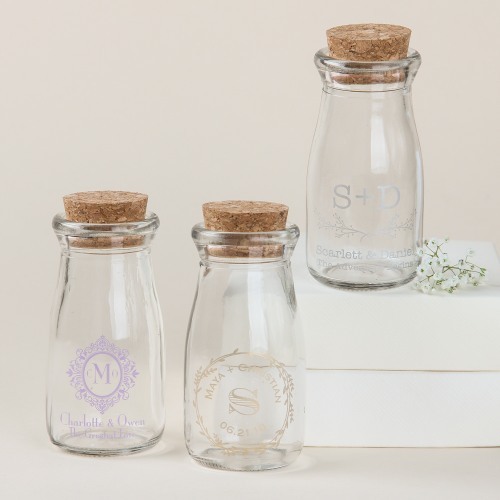 These customized favors are just waiting to be filled with yummy treats or pretty delights for guests to enjoy. 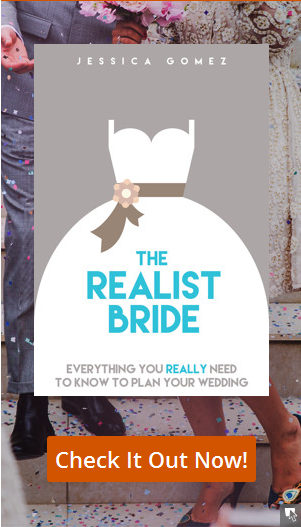 Hand these out to guests at the end of your bridal shower or wedding reception for a gift they’ll use over and over again.